Saturday night in Gothenburg was an absolute thriller that had all 11,000 attendees on the edge of their seats. The second round of Longines FEI World Cup Final competition consisted of 33 horse and rider combinations after three horses were pulled from competition earlier in the day. Christian Ahlmann & Taloubet Z. 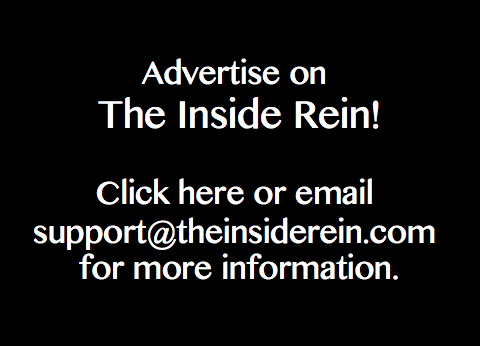 Photo: The Inside Rein. Of the 33, there were just 7 clears thanks to the final fences which proved bogeys time and again. Germany had three of the seven in contention and it was ultimately Christian Ahlmann aboard the veteran Taloubet Z, the winning combination of 2011, to put in the fastest double clear and land on top. The 14 obstacle, 17 effort course designed by Santiago Varela broke a lot of hearts as the final fences tumbled one after another. An innocent-looking vertical placed between two massive oxers kept the jump crew busy, as did the Liverpool oxer that followed 7 strides – or occasionally 6 –later. Ahlmann, ninth in the order, was the first clear ride and never lost hold of his lead. Six others joined him in the zero-fault club, making for a star-studded line-up that included defending champion Steve Guerdat, along with Ireland’s Denis Lynch, Peter Lutz of the USA, Marco Kutscher, Harrie Smolders, and Marcus Ehning. Denis Lynch and All Star were second to go and would be the only other clear jump-off round, though missing an inside turn from a double combination to an FEI upright on the rail cost them precious time, finishing at 41.42 – 4.57 seconds slower than Ahlmann. Lutz, Kutscher, and Ehning all ended on 8 faults, with Harrie Smolders and Steve Guerdat duking it out to be the fastest of the 4 faulters. A tight rollback to the double combination meant a big effort for Emerald and cost them an inside turn to the FEI fence. Despite the missed turn, Smolders and Emerald never lost pace. Guerdat, who had the first fence down, did his best to catch Smolders but would fall 1.06 seconds short. After a disappointing round in yesterday’s competition, Ahlmann knew he had to step it up today and admitted so in the press conference. “The plan was a little bit different from yesterday. This is the sport, I tried to save one day of Taloubet and took another horse yesterday. It was not our best day.” Ahlmann said of his round with Colorit, with whom he finished in 25th place. “For sure I wanted to go fast. I have a really fast, unbelievable horse. It was my only chance to get a little ahead in the ranking to have a good result. So I tried to put my colleagues under pressure,” Ahlmann said of his jump-off strategy. The comment of course prompted car comparisons, to which Lynch classifies All Star as a Land Rover and Smolders considers Emerald an Aston Martin. Guerdat, the defending champion, currently leads in the overall rankings with 64 points, though a lot can change on Monday. Marcus Ehning, Harrie Smolders, Daniel Deusser and a host of others are all nipping closely at his heels. Follow @theinsiderein on Twitter for live updates during the final round!